The Chavadi is located close to the Samadhi Mandir Complex on the eastern side. 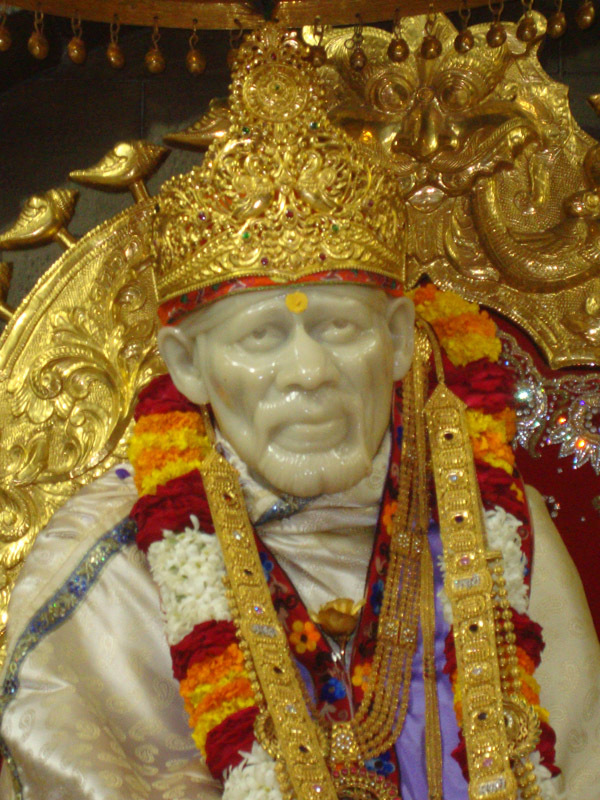 On every alternate day, Baba used to proceed in a procession from Dwarkamai to Chavadi at night and sleep there. Even now, on every Thursday between 9.15 and 10.00 p.m., Baba's Photo, Holy Padukas (footwear) and Satka (baton) are taken in a Palaquin(Pallaki) procession to the Chavadi. It is located behind the Samadhi Mandir. In this place, Sai Baba was first spotted here when He was a lad of sixteen. Baba used to refer to this spot as His Guru's (Mentor's) location and hence known as 'Gurusthan'. The famous Margosa (Neem) tree referred to in the Shri Sai Satcharitra stands here. Lendi Baug is loacted within the Saibaba Samadhi MAndir complex. SaiBaba used to go for a stroll in this Baug (Garden). Nanda-Deep (Sacred Oil Lamp) is continuously kept burning near the Peepal tree planted by Baba Himself in this Garden. A small Datta Mandir is also situated here. Baba's beloved horse Shyamsunder was laid to eternal rest here. There is also a well, called "Baba's Shivadi", in this garden. 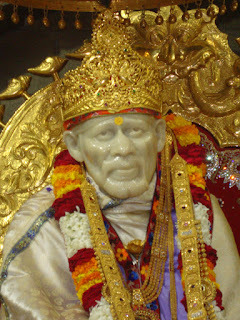 Personal items used by Baba during his lifetime like his drinking vessel (Tumbler), Padukas (footwear), Satka (Baton), Grinder, Gramophones, a Bowl of Hukka, Horse Bridle, the Kaphani and Sandals worn by Baba and the original photographs of Baba are all kept in the Museum Hall for all Sai devotees.